The ATO acts against 300 or so individual trustees each financial year, with 333 trustees disqualified in 2016-17.ii Thankfully, most compliance breaches are easy to rectify with up-to-date information and professional support. An in-house asset is where a fund owns an interest in an investment owned by one or more of the SMSF members, their relatives or related entities. Examples include shares in a private company controlled by a member, a house owned by the fund that is leased to a member’s adult child, or a loan to a partnership where members are the partners. The rules stipulate that a maximum of 5 per cent of an SMSF’s assets can be allocated to in-house assets. This needs ongoing monitoring to avoid unintentional breaches. Fund assets must be kept separate from your personal and business assets. Unfortunately, if your fund invests in collectables such as art or wine, hanging the fund’s Brett Whiteley in your home or drinking a bottle of its Grange would breach the sole purpose test. Record-keeping is more important than ever now that SMSFs must report events that effect the $1.6 million transfer balance cap to the ATO. For most funds this will be an annual duty, but some funds with members in retirement phase may be required to report events affecting transfer balance caps quarterly. 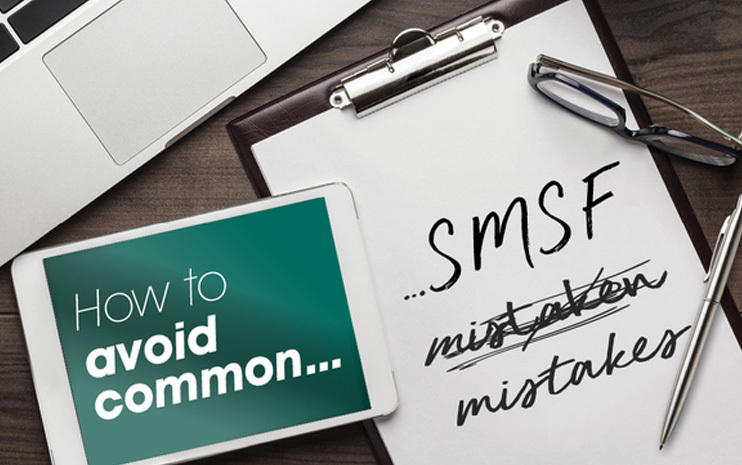 SMSFs offer opportunities that are not possible with mainstream super funds. They allow you to be more hands on and utilise strategies such as investment in property or the purchase of business assets. But you need to comply with the rules. If you would like information or support with the running of your SMSF, give us a call.